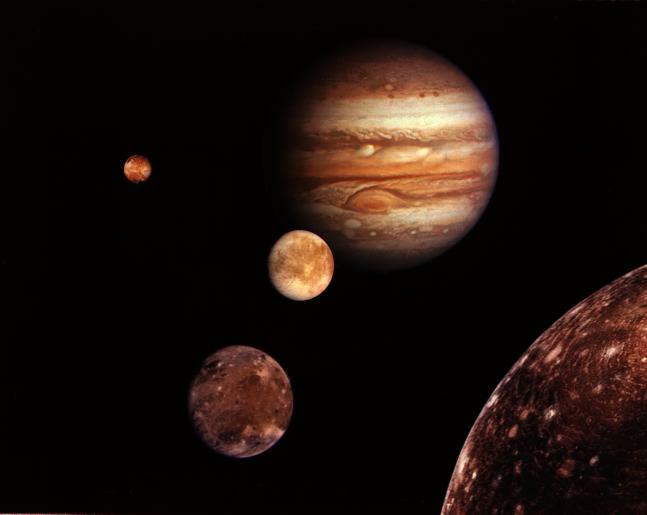 On the 7th of January, 1610, Galileo turned his telescope to the sky and discovered that Jupiter had three moons. The following night, he realized the planet had four large moons - he just wasn't able to distinguish them fully during his prior observation. In this NASA-produced video clip, Jane Houston Jones tells us more about Galileo's discovery of "Jupiter's Moons." In it we learn that Jupiter actually has 63 confirmed moons (scroll down for the animation), the largest of which are the four Galileo observed. Today those four moons are sometimes referred to as "The Galileans." Clip from "Jupiter's Moons," narrated by Jane Houston Jones and produced by NASA at the Jet Propulsion Laboratory (JPL) in Pasadena, California. Bos, Carole "Galileo Discovers Jupiter's Four Largest Moons" AwesomeStories.com. Oct 07, 2013. Apr 20, 2019.